Dardano’s of Denver parlays its roots in shoe repair into a proven 70-year formula for sit-and-fit service. Repair service accounts for 20 percent of Dardan’s business. The year was 1938 when Frank Dardano opened a shoe repair shop in downtown Denver in a mere 800 square feet of space. Seventy-plus years, several generations and many moves later, the business (appropriately named Dardano’s) remains alive today—quite a feat, considering not only the recent economic turmoil but also the stock market’s ups and downs in the decades prior. “People who have lived in Denver a long time, they know Dardano’s,” says Roger Van Deman, a sales rep who has been servicing the store over the past 15 years. Not only has the shop, which has expanded beyond its repair roots into the retail comfort footwear category for men and women, remained a fixture in the Colorado capital, it is experiencing significant growth despite the doom and gloom surrounding retailers nationwide. Shoppers walking into Dardano’s today will find upwards of 50 labels, all falling in the comfort and wellness categories. Dansko is the store’s No. 1 seller, followed by Birkenstock’s trough of brands (Tatami, Footprints, etc.). Other top performers include Keen, Naot, Mephisto and Finn Comfort. 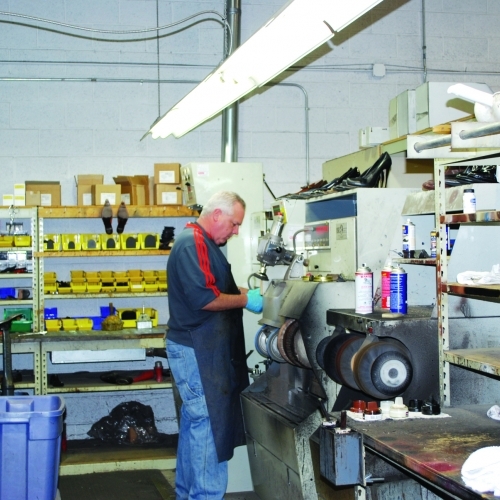 Sales manager Les Fauth notes that sticking with staples is important, as many customers continually look to Dardano’s for specific brands and styles. However, that doesn’t mean he’s afraid of taking risks. “There are always fads in the footwear industry,” he notes, explaining that when he brings in fringe styles, he ensures that they don’t outnumber the core product. One of his “risks” in re-cent years—wellness brand MBT—has been a pleasant surprise. “The shoes do what they claim,” he notes, adding that even at $250 a pop, pairs have been flying off the shelves since he added the brand three years ago. In addition to footwear, close to 10 percent of Dardano’s profits come from accessory sales: The store offers everything from a selection of handbags to cedar shoe trees. One of the reasons Dardano’s can experiment with product, Fauth says, is due to the repair traffic the store generates. “We can bring in footwear that we would never [have thought about carrying] in our store,” he notes. Because the service department is open to all brands and styles—not just comfort product sold in the store—a variety of customers visit Dardano’s, so Fauth can step a bit out of the box. He also uses these customers as an opportunity to see what might work on his floor, product-wise: The sales manager claims he studies the footwear of each and every person who walks in the door. “I look at the customers who bring in shoes [for service] to get an idea about what they want,” he explains. But whether or not a visitor has foot ailments, it’s part of Dardano’s philosophy to measure and properly fit every person who tries on a pair of shoes. In fact, it’s one of the retailer’s selling points. “Service is really major for us,” Dardano notes. “It’s helped us to get where we are.” While he says there aren’t a whole lot of independent footwear retailers left in Denver, it’s still necessary for the store to differentiate itself from its competitors—the closest being Nordstrom, The Walking Company and other retailers in the nearby Cherry Creek Shopping Center—so providing shoppers with undivided attention is of utmost importance. It’s not surprising that Dardano’s has moved locations a number of times over the years to adjust to the ebb and flow of the population and its growing retail business. At one point, the store had a dozen locations; today, one 5,000-square-foot retail store stands along with a separate 3,000-square-foot repair facility. 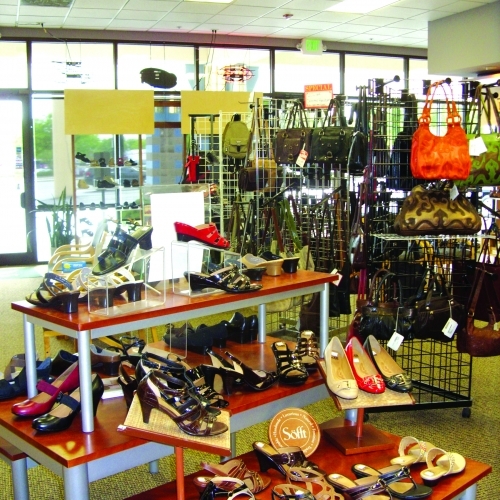 The store, which the staff inhabited about five years ago, is located in a strip mall in a retail-heavy area on Colorado Boulevard, one of the busiest streets in the city. Dardano notes that it’s also central to many offices, making it a prime location for lunch-hour and after-work shopping. “The location is really key,” he says, adding that plenty of parking (the store has its own lot) and accessibility from both the north and south on the boulevard makes it a convenient destination for shoppers. Dardano notes that consolidating into the two locations was a good decision: It’s easier to manage now that he doesn’t have to move from store to store for site visits. “Especially for independent retailers, if they’re not dialed in, they can lose a lot,” he says. Plus, he’s doing the same volume of revenue with one retail shop as opposed to multiple locations. “I’d rather have one really big store doing a great job than three smaller ones not doing such a good job,” he adds. However, Dardano is still open to expansion, as his own children, who also work in the store, have expressed interest in the business.